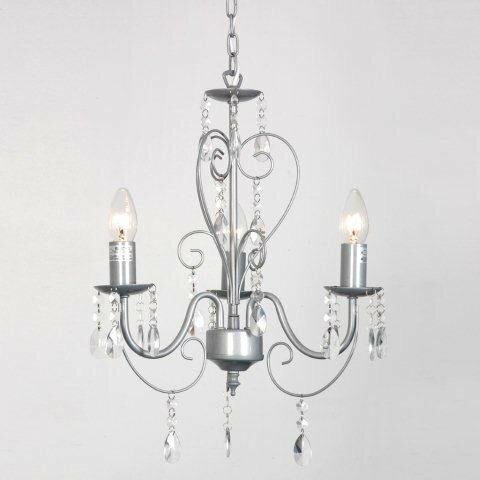 This is an elegant traditional vintage chandelier. This 3 way ceiling fitting is adorned with acrylic droplets. 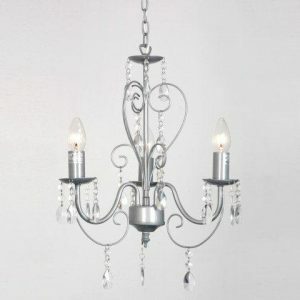 This stunning chandelier looks great and adds to any hallway or dining room. It comes in an astonishing silver/grey finish. The ideal bulbs for this product are 40w SES candle bulbs. 3 bulbs are required.